One (1) Bedroom 34 SQM is an affordable Camella Condominium for sale in Camella Condo Homes Las Pinas (Las Pinas City) with floor area of 34 square meters. One (1) Bedroom 34 Sqm has One (1) Bedroom, One (1) Toilet & Bath. One (1) Bedroom 34 SQM in Camella's Camella Condo Homes Las Pinas is an affordable condominium unit for sale in Las Pinas City. One (1) Bedroom 34 Sqm has a typical floor area of 34 square meters. One (1) Bedroom 34 Sqm in Camella Condo Homes Las Pinas has One (1) Bedroom, One (1) Toilet & Bath, living room, dining area, kitchen in complete finishes. One (1) Bedroom 34 SQM UNIT is exclusively offered in Camella's premium mixed use residential and commercial community, Camella Condo Homes Las Pinas. 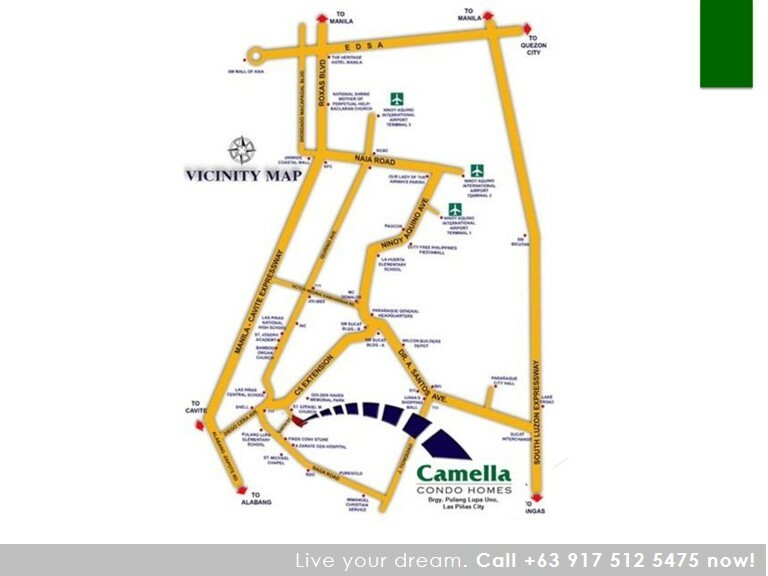 CAMELLA CONDO HOMES LAS PINAS is situated along Naga Road, C5 Extension, Las Piñas, is easily accessible: just a quick ride to get to LRT Extension Las Piñas Station, C5 Southlink, Mall of Asia and Entertainment City. Added bonus is the C5 Extension that will be developed into BPO hubs with malls and hotels in the area. Strategic Location - Camella only chooses property sites in the most strategic locations. Camella Condo Homes Las Pinas is near schools, hospitals and medical centers, places of worship, shopping malls and leisure centers, government institutions, transportation hubs and main access roads in Cavite (CAVITEX, C5 Extension and Sucat Road). Convenient Lifestyle - An upgraded lifestyle with modern facilities and friendly amenities, Camella Condo Homes Las Pinas offers an impressive grand entrance, clubhouse, swimming pool, basketball court, playground, jogging paths, and landscaped parks and gardens. Safety and Security - A gated-community, Camella Condo Homes Las Pinas standard features include patrolled entrances with CCTV, high perimeter fence, and round-the-clock, 24/7 roving security guards. Affordable and Value-for-Money - Owning your AFFORDABLE CONDO LIVING in Camella Condo Homes Las Pinas is EASY through flexible financing schemes, developer-assisted bank financing and other payment options. The money used to pay for rent now can be invested in your own dream home. The price indicated below was last updated on January 11, 2019. Price may vary on the available unit type and floor level. Please contact us for an updated sample computation at +63 917 512 5475. One (1) Bedroom 34 SQM in Camella Condo Homes Las Pinas is a COMPLETELY FINISHED Condo Unit. The above photo of the dressed up unit is the same interior turnover finishes and materials for One (1) Bedroom 34 Sqm in Camella Condo Homes Las Pinas. 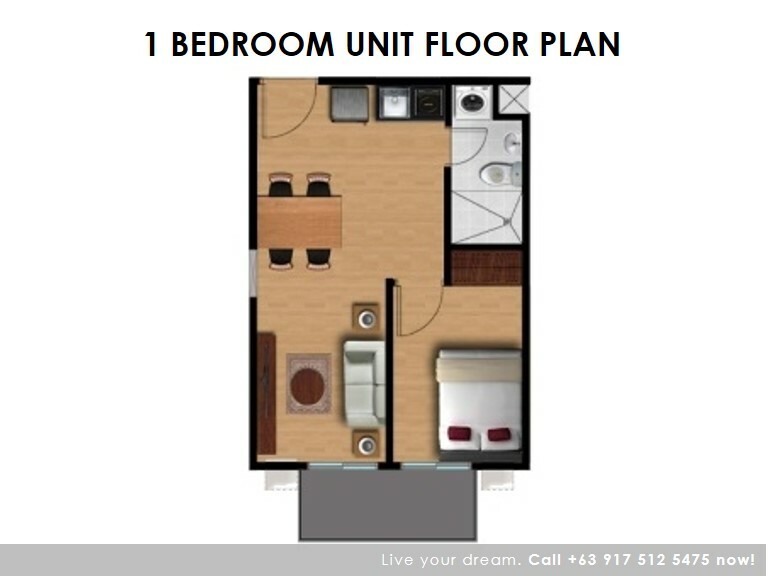 Movable furnitures and appliances are NOT INCLUDED in the turnover. EASY PUBLIC TRANSPORT ACCESS. 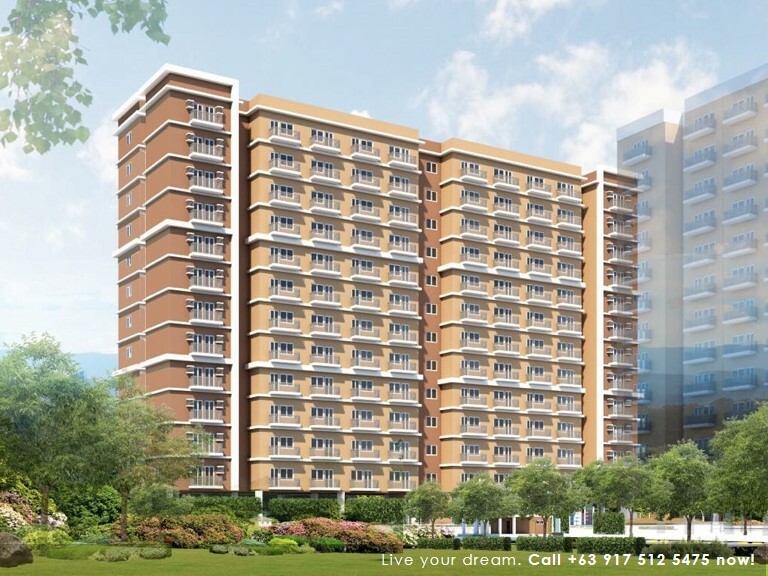 Among the highlights of living in Camella Condo Homes Las Pinas is its accessible location. Camella Condo Homes Las Pinas is located along Brgy. Pulang Lupa Uno, Las Pinas City. BENEFITS OF THE CITY WHILE STILL ENJOYING THE LAIDBACK RESORT-TYPE LIVING. 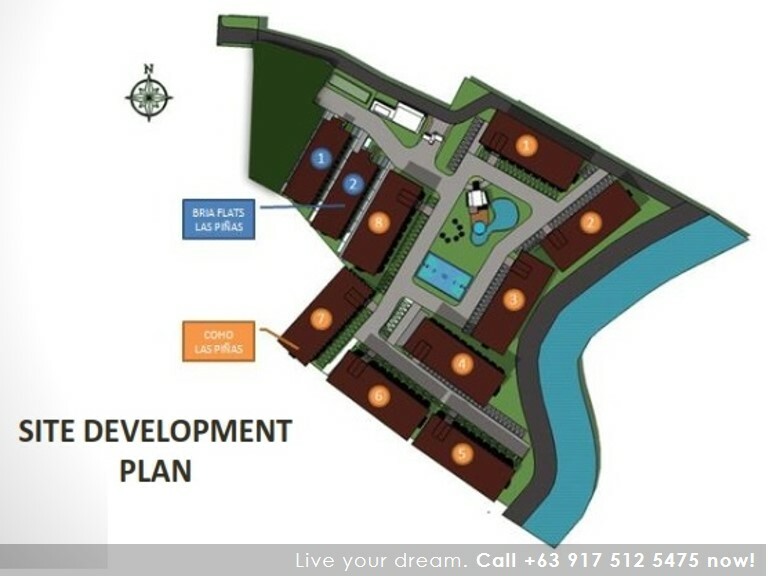 Condo Homes Las Pinas is a 3-hectare vertical village located at Naga Road C5 Extension Las Pinas City. Condo Homes Las Pinas offers your family’s every need easily met by being in close proximity to schools, offices, hospitals and churches. Also, Condo Homes Las Pinas is easily accessible with developments within the area like a walking distance from LRT Extension Las Pinas Station, C5 southlink that will give you only 30 minutes travel from BGC and Makati plus just 10 to 15 minutes away from Mall of Asia and Entertainment City. Added bonus is the C5 Extension that will be developed into BPO hubs with malls and hotels in the area. Condo Homes Las Pinas gives homeowners more ways to enjoy their investment by developing various amenities that are exclusive to the residents of the community. Condo Homes Las Pinas homeowners will also have a privilege as all units will be cable and internet ready. Hermosa is the Spanish term for Beauty, which reflect the Mediterranean theme if Camella Condo Homes in Las Pinas. Hermosa defines the Condo Homes as a beautiful lifestyle and place to live in. Now is your chance to own value-for-money condo unit in Camella Condo Homes Las Pinas in Las Pinas City. What is the COHO Lifestyles? Condo Homes or CoHo Lifestlye means living just a few steps away from a luxury mall that offers global retail selections. It means having world-class cinemas as your home theater. It means having a beautiful coffee shop as an extension of your living and working space. It means having an innovative, fun, and fresh supermarket as your pantry. For you, we redefined what it means to come home in the city and we're sure that you'll #LoveTheCOHOLifestyle. We value your family's protection and we have carefully planned the following measures for your safety within Camella Condo Homes Las Pinas.